Whether it’s before or after the sale, your Mid-Michigan Honda Dealers want to ensure that you have a positive car buying experience by keeping you informed on the latest Honda technology. 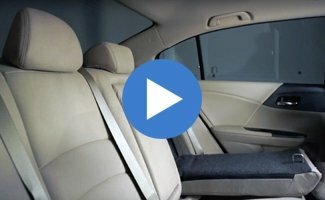 Follow our Honda brand specialist, HondaPro Jason, as he takes you through some of the features and functionality offered by the 2017 Honda Accord. Check out these Honda Tips and Tricks videos for Apple CarPlay, 60/40 Split Seats, and the Smart Key.